Thank you to our sponsors for all of their support in making SYNERGY such a success. Connecting with peers, sharing ideas and deepening knowledge is the goal of SYNERGY. Networking with SYNERGY sponsors is one more way to maximize your SYNERGY participation and return to your community with fresh inspiration. Discover new solutions and explore services and capabilities when you connect with our sponsors and exhibitors during our networking events and throughout the conference. If you're interested in being a sponsor for this year, please contact Terry Storholm at terry.storholm@thomsonreuters.com or call 651.687.7327 for more information.. Starting now, you can lock in early bird prices for SYNERGY 2019 by adding conference registration fees to your Thomson Reuters annual support contract. Simply decide on the number of seats to include in your support contract, and each year your office will receive a voucher registration code to register your team. Get a jump on your SYNERGY planning process now by securing your seats for next year. 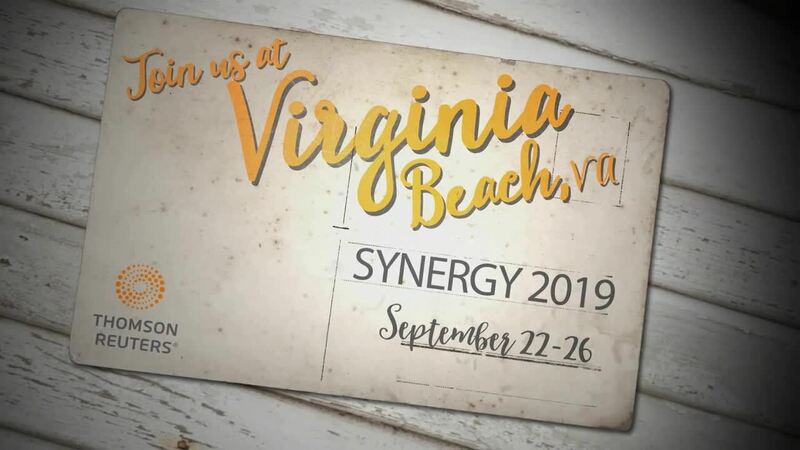 This program takes effect in 2019 and beyond, so make sure you register for this year's SYNERGY separately. Support your annual planning process by securing registrations for your applicable user conferences in advance. Obtain separate approval for the registration and avoid having to issue a separate payment to attend the conference. Automatically lock in SYNERGY early bird registration fees and savings. Conference registration fee(s) will be included on your annual support Invoice and will auto-renew every year unless canceled in accordance with the terms of your support contract. Conference fee(s) are subject to the annual support increase per the terms of your support contract. Early bird discount rates will apply to the program. Any official with budget authorization may sign up for this program. Select the Sign-up button below. Select the conference and the number of corresponding registration vouchers. Once submitted, the application will be in "Pending" status while your application is reviewed. You will be notified via email within 10 days of your submission, regarding the status of your submission.